Associate Professor Cheryl Tilse is a lead investigator of the Assets, Ageing and InterGenerational Transfers Research Program at UQ. This 16 year mutidisciplinary program of research has comprised 7 ARC Grants (4 ARC Linkages, 2 Discovery Grants and a Small ARC grant), 2 AHURI grants and projects (4) funded directly by government and/or community services. Primary areas of interest are older people and financial transfers within families, the management of older people's money, elder abuse, supported and substituted decision making in a range of contexts (e.g. asset management, financial abuse, end of life care, entry into residential care, consumer directed care), decision making capacity and older people's housing choices and opportunities.International connections include a replicattion study in Hong Kong with colleagues at the Unversity of Hong Kong and writing on decision making, person hood and demenita with colleagues at the University of British Columbia. A social work and social policy background brings to the research a focus on (i) examining the processes and outcomes of the intersection of policy and practice and (ii) on consumer experiences and participation in the area of ageing. Interdisciplinary collaborations include those with law, economics, psychology and psychiatry. National and state research partners have included 7 Public Trustees across Australia, 3 State Cancer Councils, Residential Care providers (for profit and not for profit providers), the Queensland government, Peak Bodies in ageing such as Aged Care Queensland (now Leading Edge) and Carers Queensland. 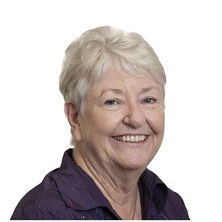 A./Prof Tilse teaches research in social work, counselling and social policy, supervises PHD students in qualitative and mixed methods research. She currently serves on four reference groups for community and government. Intersection of housing and care, housing pathways for poor older people, understanding of financial and contractual obligations in retirement village entry and exit. Self directed, Supported and Substitute decision making in relation to financial decisions, aged care services , end of life decisions. Participation in decision making of older people. Managing financial assets, retirement incomes, knowledge and use of advanced planning instruments - enduring powers of attorney and advance health directives. Knowledge, understanding and use of substitute decision making legislation by older people, appointed attorneys, legal and health practitioners, and general community. Reviews of legislation, instruments and processes in terms of accessibility to a range of groups, affordability, use and misuse. ARC LInkage grants provide a valueable avenue for to effect change in industry knowlegde, skills and practice. An ARC Linkage grant in 2002-2005 with Queensland Government (Public Trustee, Adult Guardian,Guardiandship and Adminstration Tribunal, Seniors Interest Branch, Public Advocate) eatblished the reputation of the research team in the areas of asset management, finanical abuse and substitute decision making. Invitations to present at several Australian Guardianship and Administration national and international conferences provided opportunity to disseminate results and engage in current debates using evidence from the research. This is has led to an ongoing relationship with industry reflected in the recent ARC grant with 7 Public Trustees from across Australia, an invitation to be present to the Parliamentary Committee Older People and the Law, and the award of the grant from the Dept of Justice and Attorney General (Qld) to examine the operation of advanced planning tools in the state. Findings from this project have informed the redesign of the tools and the processes for witnessing documents. Findings from the ARC on wills and transfers have been disseminated through a web based short report, a national presentation to Public Trustees, a symposium of invited statekholders (Having the Last Word? Brisbane August 2015) and a press release. This resulted in considerable media comment ( the Age, Sydney Morning Herald) and culminated in an SBS Insight program that used the research findings to trigger public debate on the issues.An invited presentation to the Bequest Interest group sponsored by UQ demontrated the relevance of the findings to a range of groups. Industry partners have used the findings to fine tune marketing campaigns, consider systematic data collection and inform practice. Membership of Advisory/reference groups promote the integration of research in policy and practice. Families and generational asset transfers: making and challenging wills in contemporary Australia. A cog in the wheel or an agent of change:Knowledge use and practice with older people who are abused in Aotearoa/New Zealand. Jones, Andrew, Howe, Anna, Tilse, Cheryl, Bartlett, Helen and Stimson, Bob (2010) Housing, support and care for older Australians: The role of service integrated housing. AHURI Research and Policy Bulletin, 130: . Jones, Andrew, Howe, Anna, Tilse, Cheryl, Bartlett, Helen and Stimson, Bob (2010) Service integrated housing for Australians in later life. AHURI Final Report, 141: 1-169. Jones, Andrew, Tilse, Cheryl, Earl, George and Bell, Martin (2008) Rental housing provision for lower-income older Australians. Australian Housing and Urban Research Institute (AHURI) Research and Policy Bulletin, 96: 1-4. Council of Australian Governments' (COAG) initiative for young people with disability in residential aged care: What are the issues for acquired brain injury? Jones, Andrew, Bell, Martin, Tilse, Cheryl and Earl, George (2007) Rental housing provision for lower-income older Australians. Australian Housing and Urban Research Institute, 1-99. Wilson, S. J. and Tilse, C F (2006) Mentoring the statutory child protection manager: A strategy for promoting proactive, outcome focused management. Social Work Education, 25 2: 177-188. Tilse, C. F., Atkinson, Anne and Schlecht, Nilissa (2000) Moving to a hostel: The perceptions of older people who move from hospital to hostel ('low level') care. Australian Social Work, 53 1: 9-13.
Review of "Quality of life in long term care"
Tilse, C. F. (1998) Review of "Quality of life in long term care". Australian Journal On Ageing, 17 2: 100-101. Adams, D and Tilse, C (1974) Access to Social Welfare Services in Brisbane. Australian and New Zealand Journal of Sociology, 10 3: 211-214. Tanner, B., Tilse, C. and de Jonge, D. (2005). No longer a prison: The impact of home modifications on the meaning of home for older people. In: The 38th National Conference Australian Association of Gerontology, Surfers Paradise, Australia, (). 9-11 November 2005. Investigation of outcome, care arrangements and service use for young people with severe brain injury in residential aged care. Private sector provision of affordable rental housing for older people: do 'affordable rental villages' show the way?